Each year an estimated 2500 visitors gather & camp at Gulkula, a traditional ceremonial meeting ground, historically significant to the Yolngu people of the North East Arnhem Land (NEAL). Its location is remote, forty kilometers on a dusty unsealed road from the township of Nhulunbuy, Northern Territory. Here, guests from all persuasions gather to experience 4 days of the Garma Festival, Australia’s largest Indigenous led, Indigenous programmed cultural exchange. In its 20th year, guests will share ideas and learn from array of Indigenous and non-Indigenous speakers. They will also witness a spectacular culturally unique dance, arts & song scene, specific to the Arnhem region & the rich Arnhem Land lifestyle. Garma sets a high benchmark as we pride ourselves on showcasing the treasures of the Northern Territory’s mighty Yolngu clans. Garma proudly provides guests with an extensive & unique display of dance (bunggul), song (manikay), craft, art (miny’tji) & traditional Indigenous knowledge. Yolngu families speak a yolngu matha dialect, & the preservation & maintenance of the local Indigenous language is prominent; English being the second spoken language for many. 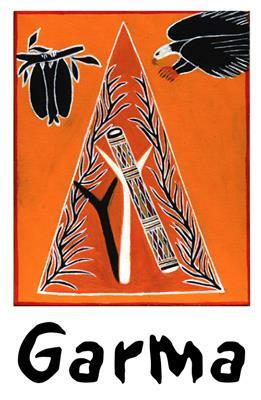 Garma was included in 2014 the Best of Australian arts by the October arts issue of the Monthly magazine. The Garma bunggul is hailed as an example of one of the world’s oldest musical traditions and we must do everything to recognise its enormous value to our lives as Australians. The Garma experience is simply unique. Programming enables guests to choose from over 26 cultural activities per day over the course of this 4 day event, often you will need to choose your selection ahead of time in order to plan out your day. Categories include music, art, dance, song, youth, language workshops, fireside chats, bush crafts, guided bush walks, astronomy, women’s healing, cinema, creative writing, yolngu ceremonies, nightly lectures, poetry recitals, & an open dinner under the stars. Leading our attractions is the Garma Key Forum policy discussions, a contemporary account of Indigenous affairs in Australia. Garma provides pleasant cultural awareness workshops & wonderful networking opportunities where you will meet some amazing people outside the city boardrooms. Garma is now considered Australia’s equivalent of Switzerland’s davos – a place for shaping policy and developing Indigenous business. Garma has also become the venue for discussion and engagement on the matter for Constitutional reform, and too reconciling, educating and healing the nation’s reconciliation journey. Garma’s impact on the nation is highly significant, and you will leave feeling challenged by thought. It is a rare privilege to attend Garma & the Yothu Yindi Foundation (YYF) is fiercely proud of our reputation as providing, staging & hosting one of Australia’s premier Indigenous attractions. Garma has operated successfully for over 20 years, & 2018 brings a groundswell of change to provoke your thought & challenge your thinking. Garma has the remarkable ability to transcend colour, creed & race, & many of our supporters recognise how remarkable this unique ingredient is to shape our nation’s future. Our programming will explore difficult conversations in order to find solutions to better manage a brighter future for our nation. You will not be disappointed with the dialogue, you’re guaranteed to finish your day with a new perspective or often some feel inspired by keynote addresses and motivational speakers. This is the melting pot of Australia’s Indigenous leaders, where the concept of time challenges you to contemplate a different line of thought. This gathering builds momentum from within the Indigenous space unlike any other - completely determined by Indigenous people themselves. Garma proves that Indigenous Australia is vibrant, where we lead by example & use the powerful Garma platform to share with you some of the complexities that are often fraught inside communities across this nation. Our guests arrive with a mindset to absorb as much as they can through the Garma opportunity. Our ticketing structure is designed as an all-inclusive package deal. Discounts will not be issued to those who choose to attend only a portion of the event. Entitles each guest access for entirety of the 4 day Garma event, airport shuttles, all meals, basic tea and coffee facilities, camping accommodation (assembled tent, sleeping bag and air mattress) included. A discounted student rate is available for children, full time school and university students who hold a valid student ID. Your student ID will need to be presented upon arrival at the ticket office (N/A for children). Corporate tickets are designed for and restricted to be purchased as for a group of ten guests in total. Corporate groups are allocated their own deluxe camping area - an environment to encourage team interaction and discussion. Additionally, all corporate groups are invited to attend a corporate dinner function hosted by a special guest, held under the stars. If you would like to come to Garma on a corporate pass but don’t have the numbers, we are happy for you to buddy up with other organisations to make a group of 10, however this is your responsibility, and we ask you to keep the YYF Administrator informed of the details of your ultimate group make up. We are strict with the figure of ten due to the hard bauxite foundation onsite which significantly restricts our team when laying out tents. Entitles ticket holders to site access for entirety of the 4 day Garma event, airport shuttles, all meals, basic tea and coffee facilities, camping accommodation (assembled tent, sleeping bag and air mattress) included. Conditions apply, please contact the Yothu Yindi Foundation, via email admin@garmafestival.com.au for further information. See our ticket prices page for pricing, for further descriptions and instructions on how to book for Garma 2018. Garma 2019 will span for four days from 2 – 5 August. The programming will extend from early Friday until on Monday evening. It is suggested that you arrive on Thursday night and leave on Tuesday morning to avoid missing out on some special programming editions unique to 2019. The Gulkula site where Garma is held is located approximately 30 minutes from the township of Nhulunbuy on the Central Arnhem Highway. Flights into and departing Gove (Nhulunbuy) are the responsibility of each guest. Commercial flights are available from Airnorth. Guests are encouraged to search for early bird flights to book and pay for flights well ahead of time, to avoid last minute price hikes as Garma draws closer. T: 131 008 for 12-passenger mini bus taxi or 4-passenger taxi operating between the Garma site at Gulkula and the Nhulunbuy (Gove) township. If you plan to commute to Gove via the central Arnhem highway from Darwin please take care. A high clearance four wheel drive vehicle is essential for guests travelling this route. Be sure to engage 4WD on all dirt roads. Garma guests increase traffic on the Central Arnhem Highway (which is an unsealed road), reducing visibility considerably. Roads are unsealed and there are some difficult river crossings, large corrugations and roads are prone to washout. Do not swim at the river crossings as salt water crocodiles inhabit these areas. Be particularly careful at night – buffaloes and other animals stray on to the road. Fact - Speed limits are heavily enforced during the Garma period. Please take note of the speed limits applied on the highways AND onsite at Gulkula. Site Access is prohibited due to OH&S policies. The Yolngu are the traditional owners of North East Arnhem Land. They are also recognised as owners of this land under Australian law through the Aboriginal Land Rights Act (NT) 1976. Permits are required to enter Aboriginal land. PLEASE NOTE: The Northern Land Council has advised that permission will NOT be granted to travel via the Ramingining Road in 2019. Gulkula and surrounding areas is an Indigenous Protected Area (IPA), managed by Dhimurru Land Management Aboriginal Corporation. Declared in March 2001 as the first IPA in the Northern Territory, the Dhimurru IPA is a part of the Australian National Reserve System of protected areas. If you wish to visit other sites in the area, permits are required. Enquiries should be made to the Dhimurru Aboriginal Corporation in Nhulunbuy. Garma is an alcohol and drug free event. Alcohol and drugs are not permitted at the Gulkula site where Garma is held. Alcohol is also banned at Gunyangara, Birritjimi and Yirrkala communities. Penalties for taking alcohol and other drugs into restricted areas can be severe. The Yothu Yindi Foundation prides itself on delivering our event in an alcohol and drug free environment. Police sniffer dogs are on regular patrol during Garma. At Garma, you are requested to observe and work within Yolngu protocols. Remember you are on Yolngu land and entering Yolngu time. Yolngu perceptions, priorities and preoccupations are different from those of mainstream Australia. Be patient, and try to leave at home your expectations of how things are learnt, and how events should run. Traditionally Yolngu learn by observation, by looking and listening. Asking too many questions can be inappropriate. So, when you have questions, choose them carefully and thoughtfully. Respect people’s personal space, particularly in the camping areas and each individual guest’s tent. Sticking to the walking paths provided is important to ensure you’re not stumbling across cultural space. Avoid strolling around and visiting Yolngu campsites unless specifically invited and accompanied by Yolngu. Please exercise courtesy and sensitivity when taking photographs – seek the permission of the Yothu Yindi Foundation and subjects if taking close-ups, or photographs of small groups, particularly in the women’s programs and men’s programs cultural and health sessions. 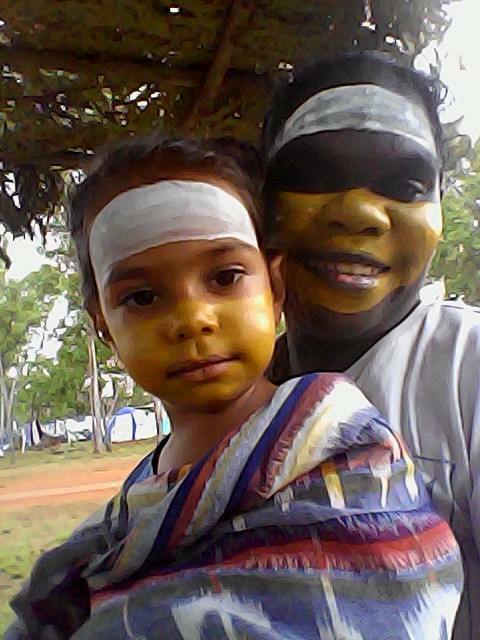 The Yothu Yindi Foundation has enforced strict Intellectual Property policies that safe guard both individuals and Yolngu families when posting Garma to social media channels. You are reminded that we are working in a realistic environment of high mortality. Cultural protocols are strict for that matter and we ask guests to respect this process. If you wish to use Garma imagery, you will need to seek approval from our Director of Media media@yyf.com.au. Visitors should NOT leave the Gulkula site on their own and should only walk along specifically marked trails. This is about showing respect for land and is also a safety issue. Wild buffalo wander this country and organisers spend considerable effort in monitoring their trails prior to Garma each year. Please ensure someone knows your travel plans. Treat the old people with the greatest of respect – they hold the knowledge and the power. Please be conscious that dress standards may often vary from what is considered acceptable at your home. By dressing conservatively, you will avoid the possibility of causing offence. Too much skin on display draws inadvertent attention not appropriate for this event. Schools attending the festival should advise their students of this policy. Our dress standards also protect our participants from sunburn, sunstroke and dehydration. Plan a sensible wardrobe, practical and covered shoes and include a hat to protect you from the elements. Garma is intended to be a camping experience and the Festival site at Gulkula is well set up for camping. Camping with us onsite at Gulkula enables guests a greater opportunity to experience Garma, and its special character, purpose and essence. Accommodation refers to tents, sleeping bag and single air mattress. Guests may like to bring their own sheets and pillow. If you feel the supplied camping gear will not be sufficient to meet your needs we encourage you to bring your own. Note: Although the Garma team do their best to keep guests comfortable, Garma is a “glamping” experience. However, if you are not accustomed to camping in the bush you may want to consider offsite accommodation options. Hotel style accommodation is not available onsite, however you may prefer to stay offsite. Garma does not take responsibility for travel or accommodation arrangements for participants who elect to stay offsite. Discounts are not available to guests who forego their camping entitlements. Accommodation facilities in Nhulunbuy are very limited. There are operational toilets and hot showers on site. There are no clothes washing facilities onsite. So, if you are adverse to dust and dirt, please pack sufficiently. For registered guests Garma is fully catered, with three main meals a day. Please check notice boards for kitchen schedules. The Garma team will calculate catering needs based on the registered number of guests and personnel in attendance. Vegetarians & Vegans will be catered for. Our Caterers will make every attempt to identify ingredients that may cause allergic reactions for those with food allergies. Every effort is made to instruct our food production staff on the severity of food allergies; however, there is always a risk of contamination. There is also a possibility that manufacturers of the commercial foods we use could change the formulation at any time, without notice. Customers concerned with food allergies need to be aware of this risk. The Yothu Yindi Foundation will not assume any liability for adverse reactions to foods consumed, or items one may come in contact with while eating catered meals. Gulkula is the ceremonial site upon which Garma is held. The Gulkula site sits within an Indigenous Protected Area (IPA). For safety reasons and permit reasons, guests are not permitted in areas outside of the marked festival site and car park. Site opening to public Thursday 1 August at 8:30 am.  Site closure to public Tuesday 6 August at 10:30 am. Guests are welcome to camp onsite from 8:30am 1 August until 10:30am 7 All meals will be catered for during this period. Garma is held in a remote bush location. Unfortunately we do not have full facilities that cater for disabled guests. We do have one wheelchair access toilet and shower facility. We are currently planning to better enable and accommodate guests with special requirements in the future. While the organisers will do everything in their power to make the site child-friendly, the responsibility for the care and wellbeing of children lies entirely with parent/s or guardian. Supervision responsibility sits with parents and guardians. Registrants cancelling before 6th April 2019 will receive a 50% refund. Cancellation fees may be applicable. Registrants cancelling after 6th April 2019 will not receive a refund. Registrants cancelling with appropriate medical documentation will receive a full refund. We are sorry to have to adopt this policy, but our resources are limited and we need to establish, for operational purposes, the number of visitors well before the festival commences. Telstra enables guests of Garma to remain connected over the course of 4 days worth of activities. The site will be equipped with a Telstra charging station and a supply of prepaid Telstra SIMS cards at the Garma ticketing office. We encourage guests to switch their devices to flight mode whilst at Garma to extend battery life. Other power outlets are located at the ticketing office /reception and guests are encouraged to remain at reception while their device charges, as Garma staff cannot assume responsibility for any devices left unattended. As power outlets are always in high demand at Garma, we predict that guests will sometimes need to wait for an outlet to become available. To avoid disappointment, we encourage guests charge during quiet periods such as early morning and later in the evening. ALL registered Garma participants agree to the conditions outlined in the Deed of Agreement to Make a Record at Garma. This is a legally binding document which prevents the Garma product from being used for commercial profit for purposes not aligned with the values and priorities of the Yothu Yindi Foundation.  This policy has been developed out of respect for the Yolngu clans and their families and it enables them to maintain control, for protocol and cultural sensitivity reasons, of the public use of images, e.g. not publishing images of deceased persons. This policy sets out all terms and conditions prior to participants arriving on site at Gulkula. * Your registration ticket binds your acceptance that you have read, understand and will abide by the terms of this document. 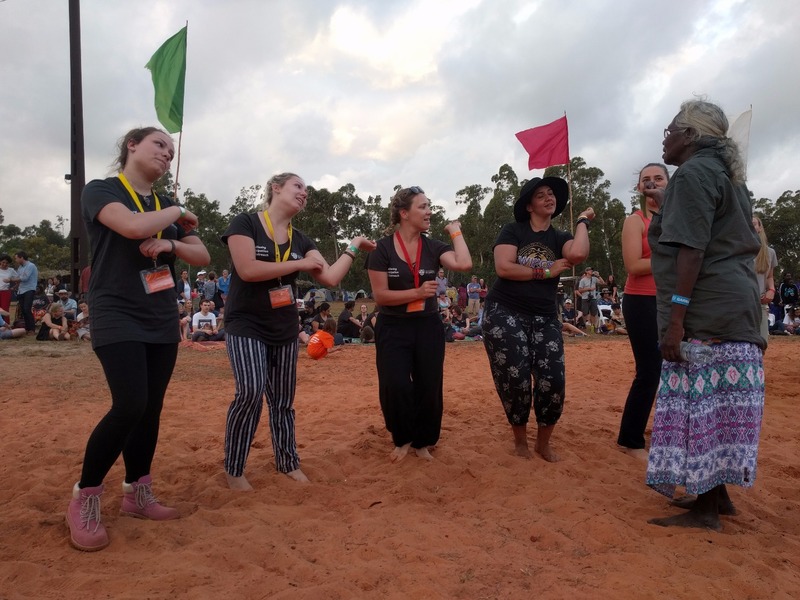 Formal individual requests to use recordings and images are to be approved by the Yothu Yindi Foundation in written form and emailed to admin@garmafestival.com.au stating the nature of the request. Due to the remote nature of this region, our turn-around process will take time to gain approval to us. Generally speaking, it is fine, rain-free and sunny. The days are quite warm (tops of around 31°C) and evenings can be cooler (down to around 15°C). We have previously experienced heavy dew and fog in the mornings. It is essential to keep up a high fluid intake (plain water is best) to avoid dehydration (particularly important if you are coming from the southern states) and it is advisable to wear a broad-brimmed hat to guard against sunburn. As Gulkula is near the coast, there are occasional rain showers. Remember to close your tent properly when leaving it, to avoid your belongings getting wet. Like most bushland in Australia Gulkula has a healthy population of venomous snakes. If you see a snake, don’t panic, and don’t touch it or try to move it yourself. Notify a crew member and we will have it relocated by a qualified ranger, away from the site for our guests and the snakes safety. To avoid mosquitoes, wear repellents and cover up at dusk. Generally speaking, there are not many mosquitoes but you may wish to bring a mosquito net, as individual reactions to bites vary. Crocodiles (baru) inhabit the waters of Arnhem Land. They are not a threat at the Gulkula site which is atop an escarpment 100 metres above sea level. Caution should always be considered if venturing near water. Sea wasps (box jelly fish) and other stingers exist in the ocean. It is highly recommended that you only enter the sea in the company and supervision of local guides. Note that there is a public swimming pool in Nhulunbuy where you will not have to worry about baru (crocodile), jellyfish or stingers. There is also a local population of wild buffalo. If seen, do not approach under any circumstances. Buffalo are known for their short tempers and are not appreciative of being interrupted. If you see a buffalo, retreat quietly. Please let staff know immediately if you spot a buffalo so that a qualified ranger can assist the buffalo in finding a safer place for it to go about its’ daily business. THERE ARE NO ATMS AT GARMA OR GOVE AIRPORT and very limited EFTPOS facilities may be available. Whilst we may have limited EFTPOS facilities for credit card transactions we strongly urge guests to pre-empt their spending habits and bring cash to suffice. General goods (water, soft drinks, and some toiletry items), art, Garma merchandise and espresso coffee will be available for sale onsite at the Garma Shop. Nhulunbuy has supermarkets and a variety of shops and facilities. A first aid service is available onsite. Any serious conditions will need to be taken to the Nhulunbuy Hospital. Please advise the organisers if you have special needs or conditions.